Often, we’re looking for that all-important chemistry. But do we really need to feel a spark on the first date? The simple answer would be ‘Yes,’ but I’ve never been a fan of simple answers and life isn’t straightforward or black and white. A while back, I asked my fiancé if he’d felt a spark between us when we first met. To clarify, we weren’t on a date. We met in the kitchen of a cottage in Cornwall on a cycling weekend with mutual friends. He walked in wearing lycra and a helmet while I was putting lasagne in the oven. He gave me an honest answer: ‘No, not really,’ which of course I didn’t like to hear. I then asked myself the same question and came up with a similar (if more wordy) response. I know I felt something. He had a kind face and a calm, peaceful presence, which I was drawn to. But I also came up with a long list of reasons why he wasn’t for me – reasons which would have scuppered our chances of a relationship if we’d met on a date rather than as friends. Fortunately, I had an entire weekend to get to know him and to grow to like him. No pressure. No rush. So based on our experience, and on the stories of many couples I’ve met who didn’t fall in love at first sight but who are together nonetheless, I’d suggest we don’t need to feel a spark on a first encounter and that curiosity could be enough of a basis for a second or third date. Do you feel curious? Do you want to know more? Also, ask yourself these questions: how do I feel in his or her presence? Do I feel content and relaxed? Can I be myself with this person? 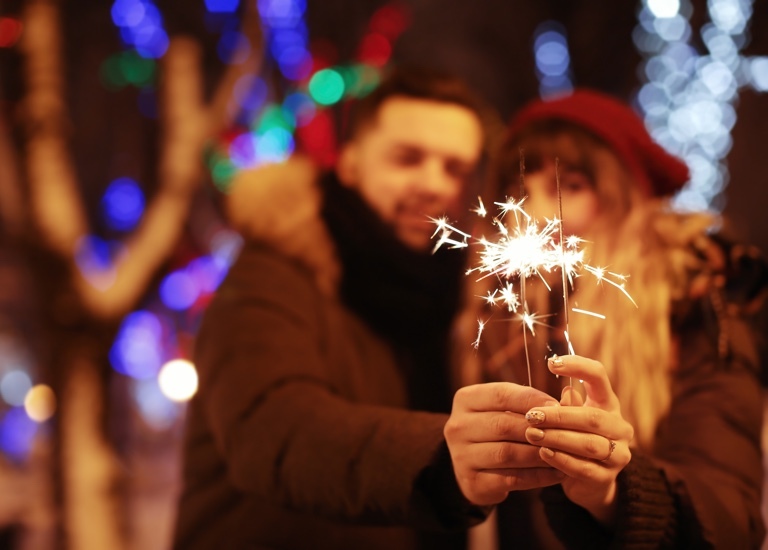 If you are someone who craves that spark, it’s a good idea to be aware that fireworks can sometimes be a red flag rather than a green light. We’ve all seen Hollywood movies featuring passionate clinches and lightning bolts. Some of us have come away with the conclusion that real connection has to look like that. But these instant attractions can be unhealthy. When sparks fly between two people, it may be the case that they both have deep, unmet needs for love, affection or touch or that they have unhealed wounds and they’re craving comfort and support. They’re drawn to each other like magnets and they stick together like glue – for a while. And then the relationship unravels because they can’t meet each other’s deep needs or heal each other’s hurt. I know this from experience. I’ve had a number of fiery relationships that, for a brief period, have transported me to another place. Sparks have flown. ‘This is like Hollywood – he has to be The One,’ I’ve thought. But these relationships that began with fireworks always went up in smoke. The attraction was unhealthy. I was either drawn to commitment-phobes, enticed by the thought I could make them commit, or I fell hard for people who had their own unmet needs and unhealed wounds, as I did. After a number of crash and burn experiences, I understood that I had to learn to meet my own needs and heal my wounds as best as I could first. I had to learn to practise self-love and self-care. I had to re-parent myself and learn to soothe myself. I had to find healthy ways to experience hugs and human touch. And I had to resolve some of my childhood issues so that I didn’t crave male affection and affirmation quite so much – so that I could regain the power of choice when in the presence of an attractive man. As I got healthier, I became wary of the chemical pull or the flashes of lightning. I set boundaries for dating so that I could keep myself emotionally safe while I found out more about the person I was with. I asked friends for support so that I wouldn’t repeat the same patterns over and over again. And can I suggest that you go on a second or third date with people whom you’re curious about, even if there aren’t any immediate sparks? You never know what will come of it.